The Paris Agreement is the global effort to reduce climate change by the end of the century. Our own President Duterte is already on board with the movement and has even installed a system of solar panels in the Philippines, specifically in North Cotabato. It is possible that he may begin asking his citizens to comply as well. 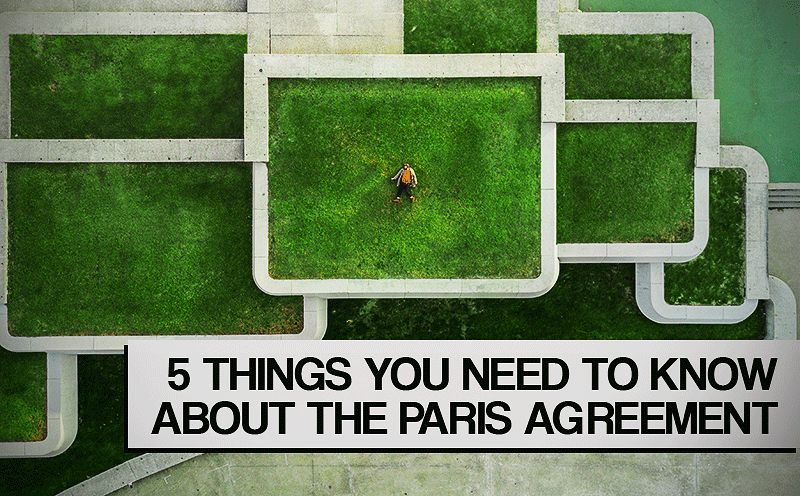 Here is everything you need to know about the Paris Agreement. The Paris Agreement is all about keeping the world’s average temperature from rising by 2 degrees Celsius above preindustrial levels until 2100. Some may think that this is such a small number for a global movement but the smallest increase in global temperature already has huge consequences. Such a climate change could cause higher seas, drastic weather changes, and food and water droughts. The accord states that, in order to achieve the aforementioned goal, countries should reach their peak emissions as soon as possible – before 2020 to be exact. This is the time when carbon emissions need to begin to decline rapidly lest the whole planet suffer the dire consequences. However it is not stated how the government is to do so. It only provides the framework to start greenhouse gas reduction. The government of each involved country will decide how they will reach their peak emissions as fast as possible. The idea is to create a culture of accountability. Because of this, no punishment is provided for breaking the agreement for all 195 countries that have agreed to it. But since there was no punishment, the US was able to withdraw from it. While they are not bound to follow it, their withdrawal has been subject to global criticism. Part of the agreement is for richer countries to provide 100 billion dollars by 2020 to aid less financially-capable countries. The logic of this provision, in relation to climate change, is that the rich countries will be making up for their malpractices. These countries were able to attain their money by burning huge amounts of fossil fuels which also contributed to climate change. Thus, poor countries that do not have the budget needed to protect themselves from global warming suffer because of the actions of rich countries. The amount of $100 billion per year is set to increase over time. However, like other provisions in the agreement, this is isn’t an absolute mandate. As previously mentioned POTUS Donald Trump has recently withdrawn the United States of America from Paris Agreement. He also claimed that climate change was a hoax created by the Chinese to hurt the economy of his country. Ever since he was sworn into office, Trump has been rolling back rules that limit carbon emissions and backing out of the Paris Agreement just further proved this. Under the Obama administration, the US promised that it would reduce its carbon emissions by 28% by 2025. This amounts to 1.6 billion tons of carbon. Approximately 150 businesses as well as some states have already agreed to comply to this. It is clear that the United States would have played a key factor in reaching the Paris Agreement’s goal especially given that it is the world’s secpnd largest pollutant. Since the US has withdrawn, the world is now looking to China to take the lead the agreement and the country has already taken up the mantle. Premier Li Keqiang said that “China will stand by its responsibilities on climate change”. Being that his country is the largest pollutant, their compliance with the agreement is what the world needs to see that the agreement’s goals are reached. They have already committed to reaching their peak emissions by 2030 so that they may quickly shrink it afterwards. Also, they will be investing $350 billion in renewable energy by 2020. The Paris Agreement is a global movement and one of the biggest showcase of world unity in a long time. For it to succeed its mission, world leaders are making the efforts to reach peak emissions as soon as possible. In order for them to do that, their citizens must follow the changes and new acts they may implement.